Ginseng and Turmeric energises and stimulates circulation, reducing hair loss due to breakage* in 8 weeks *74% of 94 women agreed they experienced less hair breakage after 8 weeks of using the Invati Advanced System. 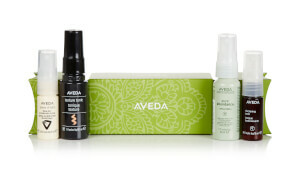 Aveda Shampure is a gentle, pure, organic and conditioning range that cleanses and fortifies any type of hair. Wheat Protein and Aloe locks in moisture providing frizz-control. Helps Strengthen hair using the power of Quinoa Protein. Enhance vibrancy and fight fading with wintergreen and Cinnamon Bark. Leaves hair touchably soft, shiny and full of weightless bounce. Botanical blend calms frizz, leaving hair salon-smooth. Invigorate with our signature Rosemary and Peppermint Aroma. NEW Invati Advanced™ Not only does NEW invati advanced™ give you thicker, fuller looking hair it is also 98% naturally derived, and the scalp revitalizer is so powerful you only need to apply it once a day. The 3 step system includes : 1. Exfoliate: NEW nourishing shampoo cleanses and renews the scalp. 2. Thicken: NEW conditioner instantly thickens hair, with fullness that lasts all day. 3. Activate: NEW scalp revitalizer helps reduce hair loss to keep the hair you have longer. * A. instantly thickens to help lift hair at the root B. invigorates the scalp when massaged in C. penetrates to help support hair’s natural keratin *80% of 105 women reported they experienced less breakage after 8 weeks. Our mission at Aveda is to care for the world we live in, from the products we make to the ways in which we give back to society. At Aveda, we strive to set an example for environmental leadership and responsibility - not just in the world of beauty, but around the world. Our products contain only the most organic ingredients. From Argan, Jojoba and Jasmine Oil which provide optimum nourishment to hair, to detoxifying Green Tea extracts and soothing Aloe Vera. We believe what you put on your body should be as healthy and natural as what you put into it. For over 30 years now, Aveda Hair Care has developed its products with the expert and professional backgrounds of experienced salon hairdressers. Developing hair care derived from natural plant and flower extracts to provide you with organic and replenishing results with every use. Aveda hair products range from everyday hair care like shampoo and conditioner to hair styling and finishing products that give you salon worthy results every time. 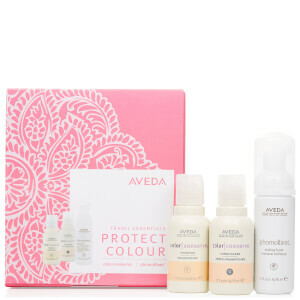 Developing unique formulas for dry, damaged and coloured hair, you'll never have a bad hair day again with Aveda.